Compassion International declared September to be Blog Month and set out to set a new record for most children sponsored in a month. This evening that goal was reached when the 3,108th child was sponsored in September. …exists as a Christian child advocacy ministry that releases children from spiritual, economic, social and physical poverty and enables them to become responsible, fulfilled Christian adults. Compassion has long been an innovative user of social media. It’s Compassion Bloggers initiative has engaged hundreds of bloggers to write about Compassion’s life-changing efforts. It has even organized several trips in which Compassion bloggers have had the opportunity to see first-hand and blog about the work Compassion is doing around the world. I’ve participated in the first 3 assignments with posts The Secret to Changing the World, Would You Pray With Me? and Compassion Pinned. But I feel completely inadequate to write from the perspective a sponsored child. I’ve spent time with impoverished children in Kenya, Costa Rica and here in the U.S. Our family sponsors children in Haiti. But I still feel as if it’d be presumptuous of me to think I know how they think and feel. I imagine before being sponsored, life was hard, perhaps even hopeless. Food was probably hard to come by. The family situation probably meant the child had to miss out on school to do work to help their family. I hope that being sponsored changes all that. It doesn’t solve all the child’s problems, but it assures them that they’ll have food to eat, they’ll be able to go to school, and just as important regain the hope every child should have – that they matter and will have the opportunity to grow up and do something that matters. But every child’s story is different. 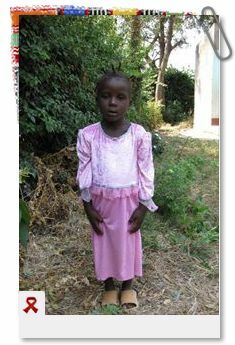 I encourage you to check out some of the children who are waiting to be sponsored. Learn their unique stories. Even though Blog Month is just about over, it’s never too late to sponsor a child and change their life. Congrats and way to go to Compassion, Compassion bloggers and the thousands of generous sponsors who worked together to sponsor more than 3,108 children this month!